George H.W. 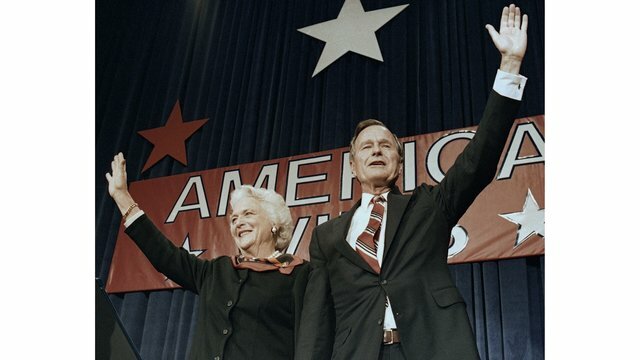 Bush was largely known for his work in public office, from his time as a Texas congressman and CIA director to his years in the White House as president and Ronald Reagan’s vice president. But the World War II hero and great-grandfather also was an avid skydiver, played in the first-ever College World Series and was the longest-married president in U.S. history. MEETING HIS WIFE: Bush met his wife at a dance in Greenwich, Connecticut, in 1941. He was a 17-year-old high school senior, while she was 16 and attending school in Charleston, South Carolina, and home for Christmas. The band was playing Glenn Miller tunes, but when he asked her to dance, the music changed to a waltz. He didn’t how to waltz, so they talked. They were married on Jan. 6, 1945, and were the longest-married presidential couple. She died on April 17, 2018.